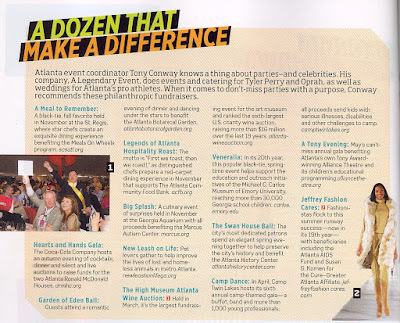 A Legendary Event kicked off a fabulous magazine launch and spread in the recent November Delta Sky magazine, which had a spectacular insert all about Atlanta! The kick-off event was held at the High Museum of Art and Atlanta Mayor Kasim Reed unveiled the profile issue with a focus on Atlanta. The city has never looked so good or so inviting with our very own Tony Conway, CEO and Owner of A Legendary Event as your expert guide to a dozen philanthropic events that make a difference in our great city. Delta also featured Tony’s upcoming award honor for his dedication to A Meal To Remember befitting Senior Citizen Services of Atlanta. This issue is filled with many positive articles written on how great the city of Atlanta is and where we are headed in the future. Without question, Atlanta will be Delta’s travelers next destination after reading this exciting article and we’re very proud of Tony and A Legendary Event for the unending dedication to giving back. 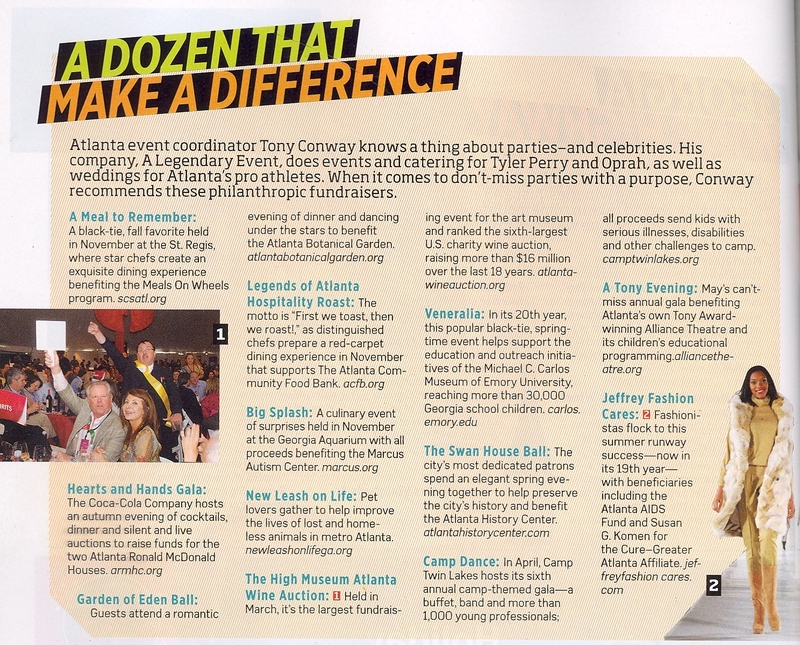 Take a look at this page-turning spread to learn more about the wonderful city A Legendary Event calls our own, Atlanta! This entry was posted in A Legendary Event, altanta caterer, Atlanta Caterer, atlanta caterers, atlanta caterers a legendary event, Delta Air Lines, delta sky, delta sky magazine. Bookmark the permalink.